It’s a story straight out of Hollywood but one very much with its roots firmly set in the south of England. A phoenix from the flames story about a club teetering on the brink of collapse and narrowly avoided relegation from the Football League eight years ago to now only a few points away from promotion to the country’s top league. However this isn’t just a Hollywood dream but in fact a reality. 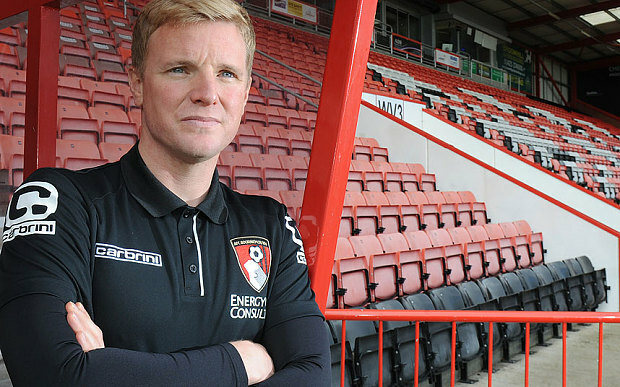 This is the story of Bournemouth FC and their remarkable turnaround. Having spent most of their 116 year history plying their trade in the lower leagues of English football, few would have believed that Bournemouth would be now so close to the Premiership. But after five strong seasons which has seen Bournemouth climb league after league, they now sit top of the Championship on 73 points and are looking to end their long stay in the lower leagues and finally compete with the best teams in England. The credit for this must go largely to their manager, Eddie Howe. The dynamic young boss has been in charge at Dean Court for nearly six years albeit with a short stint as Burnley boss in-between. When originally appointed Howe was the youngest manager in the football league at aged 31 and many doubted that he would be successful given the various challenges he faced – taking over at the club at arguably its lowest point, second bottom of League Two and facing relegation after the club was hit with a 17 point deficit at the start of the season for entering into administration. Despite this, Howe inspired Bournemouth to safety finishing 21st on 46 points above Grimsby and the relegated duo of Chester City and Luton Town. With 19 games left in the season when he took the reins, Howe rallied his Bournemouth team to 11 wins and two draws that gave them the points they needed to secured their position in League Two. The next season he would go one better as Bournemouth finished 2nd in the league, gaining promotion back to League One. He left half way through the next season to join Burnley but returned to finish what he started less than a year after leaving. It took two attempts but eventually promotion to the Championship was achieved. Now sitting top of the Championship with seven games left to play, Howe could complete an incredible hat trick that sees Bournemouth promoted once again, this time to the Premiership. Saturday’s emphatic 3-0 victory over promotion rivals Middlesbourgh was a huge psychological boost to Howe and his team who firmly believe that their destiny is now in their own hands. Four wins should be enough to secure a playoff berth but Howe will not settle for this, preferring to hold on to top spot and automatic promotion. Having built a team on a limited budget, selling key players in order to reinvest in the wider squad, Howe’s man management of Bournemouth has been simply remarkable. He has made clever signings over his time as manager bringing in Dan Gosling (a free from Newcastle), Matt Ritchie (signed from Swindon), Artur Boric (on loan from Southampton) and this season Callum Wilson (signed from Coventry). 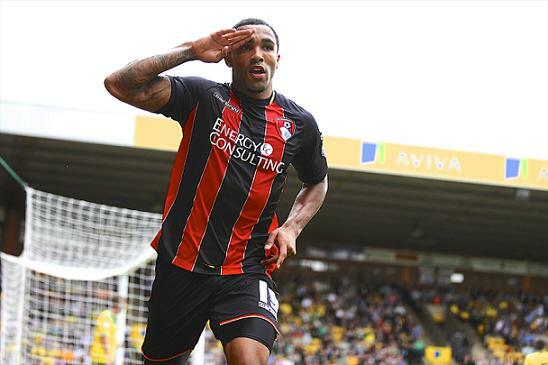 Alongside veteran strikers Yann Kermorgant and Brett Pittman, the 23 year old Wilson has been a revelation since arriving, scoring 16 vital goals as Bournemouth climbed the table. Solid at the back (the 2nd best defence in the league) and scoring for fun at the other end (82 goals so far and counting) it’s hard to see Bournemouth slipping up at this late stage. That said Howe acknowledges that this season has been tough and that they will need to battle to the end to ensure that they are rewarded for their efforts. The memories of a torrid February still linger in Howe’s mind (Bournemouth failed to win a single game that month losing twice and drawing three times) so he will not allow a repeat of this. There is no such thing as an easy game in the Championship and Bournemouth will know that they will have to give their all to ensure promotion. Up first is Ipswich away after the international break this weekend. April could be a defining moment for Bournemouth and for Howe as they look to end their Hollywood story with a happy ending.